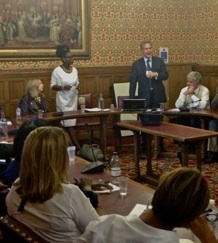 I chair an All Party Parliamentary Group (APPG) on a Fit & Healthy Childhood which recently published a report entitled Healthy Patterns for Healthy Families: Removing the Hurdles to a Healthy Family. I believe the epidemic of childhood obesity should be treated as a national emergency. We need a minister at Cabinet level to coordinate strategy at all government levels. If you agree, write a letter to your MP to get change and make a difference. The report on Maternal Obesity, published in June 2017, is available here. The report on Physical Education is available here. Our critique of the National Obesity Framework is available here. Our report on Play is available here. Food in Schools and the Teaching of Food, our third report, is available here. Our report, The Early Years, is available here. The report on Healthy patterns for healthy families: clearing the hurdles to a healthy family is available here.